For users who have updated to the Windows 10, there seems to be a slight problem when running their computer. A lot of Windows 10 users have found that once they start their PCs, system processes, such as ntoskrnl.exe, are taking up a lot of RAM and CPU space, sometimes even reaching 100%. Naturally, this will reduce the performance of your PC, and hence, users want to find a way to eliminate this problem. With the help of this article, you will be able to figure out exactly how you can go about solving these problems so that you are able to get the most out of your PC. 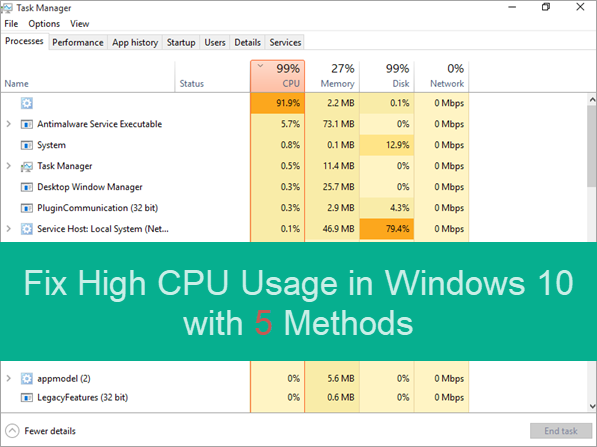 Most of the time when your Windows 10 system warns you about high CPU usage, it is not always true. The report may be an error due to registry hack, memory leak, and your computer memory being usurped by junk files and sometimes even space taken up by large installation files. Once you get rid of these problems, you will be able to use your PC smoothly without these warning messages popping up from time to time. If it is a certain app that is taking up huge RAM, then end it on Task Manager can temporarily solve the issue. However, in more cases, you will need more methods to go about solving this problem, depending on why your system is acting up you can pick one which is suitable for you. Note: No matter which methods you use in this article or elsewhere, you should check it carefully to avoid losing important files. If the accident did happen, make sure to use file recovery software to rescue. Press Windows Key and R key together. The Run dialogue will pop up. 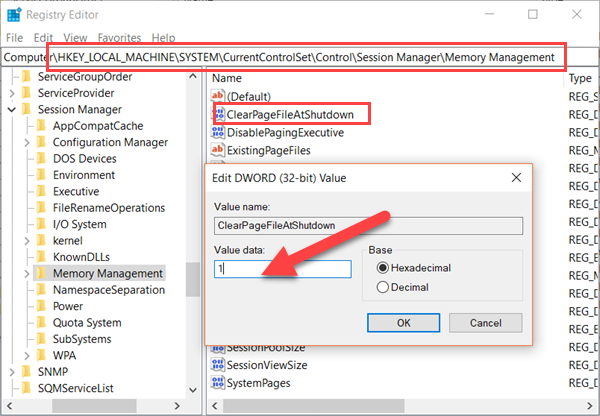 Right-click on ClearPageFileAtShutDown, then choose Modify… and change the value to 1. After the changes have been applied, restart your computer. Press Windows key and X key at the same time, then choose Device Manager on the popup. 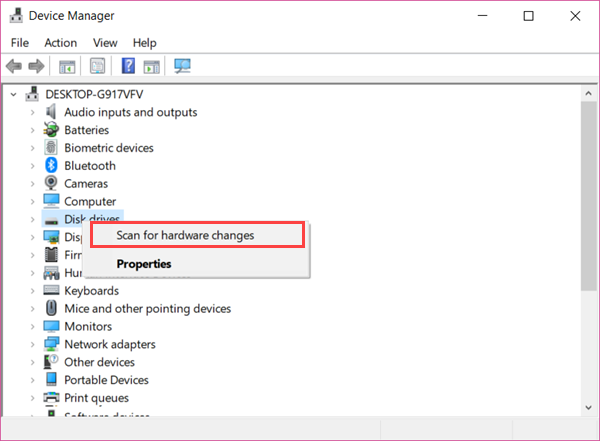 Right click on Disk drives, then choose Scan for hardware changes. If it finds any change that can possibly cause the high CPU usage issue, then you can right click on the driver and choose Update driver or Uninstall and re-install driver. You can also optimize your hard drives to help your computer run more efficiently, or analyze them to find out if they need to be optimized. The optimization can be scheduled, but if you have never set that, please follow steps below to do it manually. Open Run dialogue by pressing Windows Key and R key at the same time. Type dfrgui in the box and then hit Enter Key. Select the hard drives that you wish to defragment, such as the C drive or the D drive. It will save you a lot of memory space in Windows 10 RAM by defragmenting and optimizing all your hard drives. There are a few applications that automatically start running form the moment you turn on your computer. The apps running in the background may hinder other applications from running smoothly. By preventing unnecessary applications from automatically running during booting, you can help save precious RAM space. 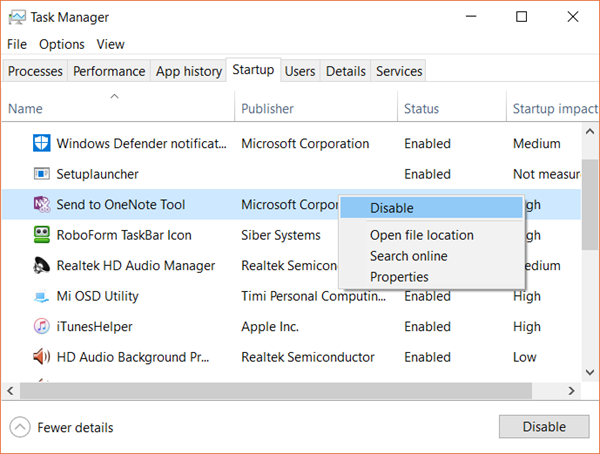 Right click on task bar and open Task Manager. If it is a small window popping up, please click More details button to expand it. On Task Manager window, open Startup tab. Look through the list of applications that can run at start-up automatically. Right click on the applications you wish to disable. Click Disable button to remove it from startup list. In order to get the most out of your computer, Microsoft has put settings in place which allow you to optimize its performance and fix high RAM problem. When you adjust your PC for the best performance, it delivers high performance to you by ensuring that no unnecessary files are compromising your CPU and RAM and that each process in the computer is running smoothly. Open Windows 10 File Explorer. You can do it by double-clicking My Computer/This PC shortcut. Right click This PC icon on the left panel, then select Properties. Click on Advanced system settings on the dialogue box that opens. On the new small window, open Advanced tab. Click the Settings button in Performance section. Another new window will open. 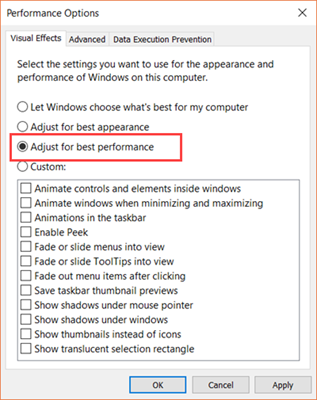 Select Adjust for best performance, then click OK to apply. As you can see, when you select Adjust for best performance, the extra settings for appearance are unticked. These features will be disabled for best performance. 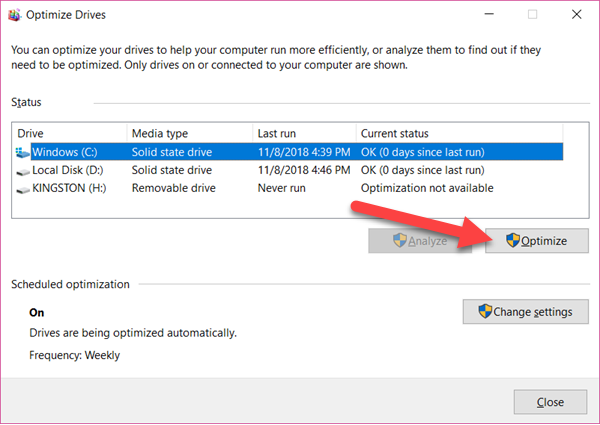 If you find that you have too many files and data on your Windows 10 computer, you can also choose to free up space on Windows 10. Just be cautious of deleting important photos or videos, in which case photo recovery software will be needed. When you see a system error message, it can be a little scary for some, especially those who do not fully understand their way around their PC. However, with the help of this article, you will be equipped with the knowledge of what you can do during such situations.